seamless security for all weather problems. 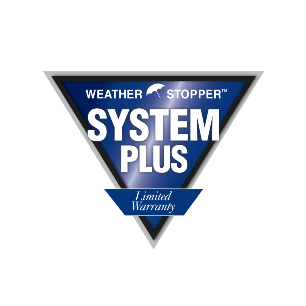 Our system is seamless when it comes to gutters. We use this seamless gutter system to help protect against leaks from running rain water. The design of the system makes it easier for water to be drained away from your home, removing the damages associated with excessive water build-up around you foundation walls. This strong, durable design helps maintain product integrity over many years, meaning that expansion and contraction caused from the changing seasons and strong winds won’t have much effect on your drainage. Also, these rainwater removal systems look great and are custom-cut on site to blend in perfectly with the soffit and fascia of your home. Gutters have one job: to divert water away from your home. Heavy rains can wreak havoc on your home, especially your siding, windows, doors, and foundation. Without gutters, you could wind up with a long list of serious and costly damages. Water will pool around the foundation of your home, seep into areas it shouldn’t, and cause extensive water damage issues. Your home’s gutters protect the foundation of your home, prevent erosion, protect your landscaping, and prevent basement flooding. They will prevent staining to the exterior of your home, mitigate paint damage, and stop mold and mildew growth. Asscher Roofing understands the importance of your gutters, that’s why we dedicate ourselves to diamond quality installations. Get a free, fair, and friendly quote from an Asscher Roofing Professional today for quality seamless gutters by the diamond standard in roofing: Asscher Roofing Company.